We’ll meet or beat your current merchant processing pricing, or we will give you $250. Accepting electronic payments is a cost-effective way for any business to provide quality customer service and still maintain operational efficiency. 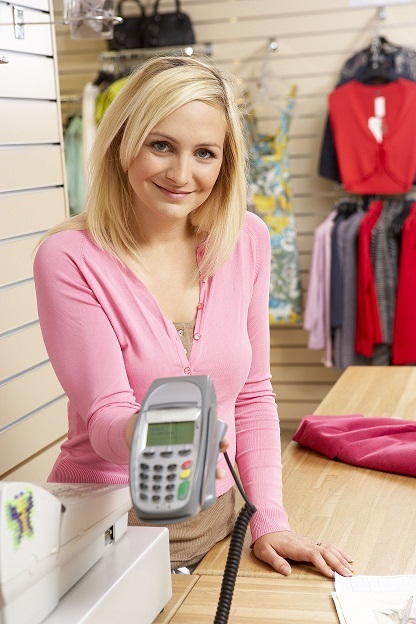 If you are a retail business, service, mail-order or Internet business, we can help you process electronic payments and assist you with the ability to accept credit, ATM and debit cards. Our partnership with The Small Business Authority, powered by Newtek provides you with all of the tools you need to set up merchant payment processing and a way to customize programs that will help drive customers to your door. The Small Business Authority provides competitive processing rates while also offering the highest level of customer service and expertise available in the industry. The Small Business Authority will also assist you with implementing personalized gift card programs, ATM’s and check guarantee services to help maximize your revenues and reduce your costs. And as an added convenience, equipment purchasing and leasing are available. To learn more about our business services, visit your local branch. Newtek, The Small Business Authority will pay $250 to your business if we cannot lower your “true effective rate” from your current merchant processing provider. Rate and price comparisons are based upon the calculations provided by NEWTEK Merchant Solutions. The most recent two (2) month’s credit card processing statements are required to calculate the “true effective rate.” Pricing comparison applies to Visa®, MasterCard®, and Discover Network® credit card processing rates and other normal monthly fees only, and does not include one-time set up, hardware or software fees. Select business types are not eligible for the $250 offer. Ineligible business types include, but are not limited to: travel agents, ticket brokers, airline tickets, debt consolidation/collection services, dating services, online dating sites, financial consulting, recurring billing or continuity merchants, computer software sales, discount clubs, or custom furniture retailers. The $250 will be paid in the form of a check within 30 days. Limit one offer per merchant relationship/business entity. Offer is only available to new NEWTEK Merchant Solutions – The Small Business Authority customers. ** Percent discounts on merchant processing are based on average cost savings experienced by new NEWTEK Merchant Solutions – The Small Business Authority customers. Actual percent discount may vary.